A Preview of the Women's NCAA Tournament: Can anyone top UConn? The road to Columbus, Ohio. For three teams and all-but-certainly UConn, a season long goal of making it to the Final Four with a shot at a national championship will finally be realized in Buckeye country. This year’s NCAA Tournament will kick off March 16 and run through April 1. The four regional sites for the tournament are: Lexington, Kentucky; Kansas City, Missouri; Albany, New York; and Spokane, Washington. The winners from each region will advance to Columbus and compete at Nationwide Arena. While there are sure to be plenty of surprises along the way, one thing is for certain — this will be another intriguing tournament full of elite talent. Throughout the entirety of the season, and really for the past decade and counting, one team has stood above the rest — UConn. After suffering a heartbreaking loss at the hands of Mississippi State a year ago in the tournament, the Huskies have been on a mission to avenge that loss and win yet another NCAA Tournament. Geno Auriemma’s squad has entered the NCAA Tournament undefeated nine times and has gone on to win the championship in six of those occurrences. While the Huskies come in as heavy favorites, several other teams will threaten to pull off a repeat of last year’s upset. At the top of the list will be Mississippi State, defending champion South Carolina, Notre Dame and Louisville. Mississippi State is returning the majority of its players from its finals run and had another tremendous regular season. Its only loss of the season came in the SEC Tournament finale against an upstart South Carolina squad, the same one that also took it down in last year’s national championship game. The Gamecocks are led by the espnW National Player of the Year, senior A’ja Wilson. Wilson has had another dynamic season, averaging 22.6 points and 11.8 rebounds. With South Carolina slotted as a No. 2 seed in the Albany region, a projected quarterfinal against No. 1 seed UConn proves to be one of the juicy quarterfinal matchups. Perennial powerhouses Louisville and Notre Dame are also teams high on UConn’s radar this year. The Cardinals are coming off a hard-fought victory against the Fighting Irish in which they emerged with a 74-72 victory. They also have had the opportunity to play the Huskies once earlier this season in what turned out to be a contested 69-58 loss. If the teams are to meet again later in the tournament, the Cardinals will fancy their chances on a neutral court. As for Cal, the Bears are slotted in as a No. 7 seed in the same region as UConn and South Carolina. While a favorable matchup against No. 10 Virginia in the first round bodes well, a potential bout with the Gamecocks in South Carolina seems particularly daunting. 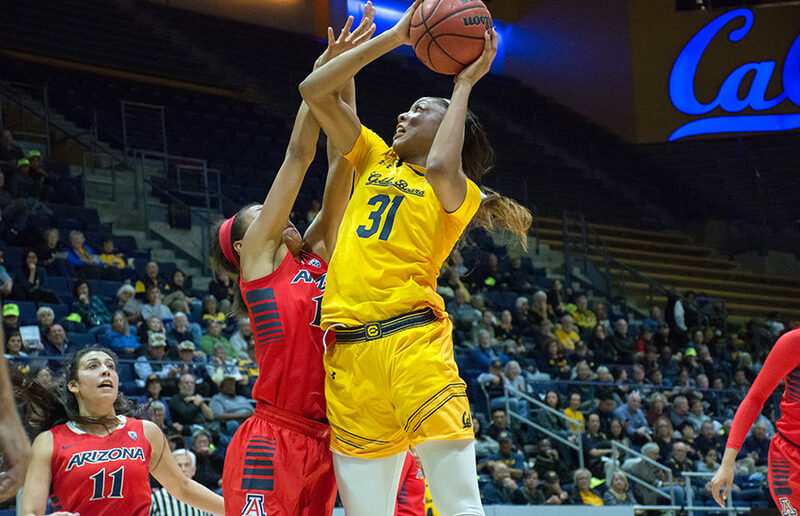 All season long, Cal has competed at a high level with the capability of competing with the best. 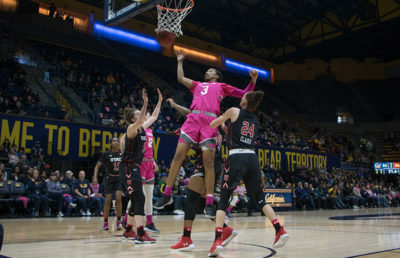 Although the Bears have had their fair share of trouble with ranked teams, the NCAA Tournament provides the perfect opportunity to stage a few upsets. While betting on the Bears to win a national championship is perhaps not the best strategy, an exciting and action-packed tournament certainly awaits all of us. But if you are into betting, UConn is undoubtedly the safe choice.